1. Insert your formatted USB (4GB+ preferable) stick to the system. 2. Open elevated Command Prompt. To do this, type in CMD in Start menu search field and hit Ctrl + Shift + Enter. Alternatively, navigate to Start > All programs >Accessories > right click on Command Prompt and select run as administrator or open RUN ,type cmd and hit enter. LIST DISK and hit enter. Once you enter the LIST DISK command, it will show the disk number of your USB drive. 4. In this step you need to enter all the below commands one by one and hit enter. now minimise the command window. 5. Insert your Windows DVD in the optical drive and note down the drive letter of the optical drive and USB media. Here I am using “D” as my optical (DVD) drive letter and “H” as my USB drive letter. D:CD BOOT and hit enter. Where “D” is your DVD drive letter. CD BOOT and hit enter to see the below message. 7. Copy Windows DVD contents to USB. now you have completed making a bootable pen drive , you can preserve it for any no of uses and format it too if u want it back to be used as a data traveller device. NOTE:In making a pen drive bootable we convert it into NTFS format from FAT 32,this makes USB losses its efficiency,so,i prefer not to make pen drives bootable. u r right chandru , it losses its efficiency (not so reasonable) but boosts up its performance and for the matter of making it bootable..its just the matter of need when the CD-DRIVE is not working and we need to boot our pc. i want to create a bootable pendrive . Yaar that day i was really stuck as my boot manager was accidentially deleted by me and u knw windows cannot boot without bootmanager. One way was to insert windows installation disk and repair it but see my luck the dvd drive was not working…lollll……..Finally i switched over to this method and made my pendrive bootable………Thank GOD it worked. I want to know how to make dvd/cd bootable…..
cd/dvd…thats not a big deal…just copy the contents or burn the iso image of any os to a cd/dvd…it will automatically become bootable…..
the problem is in case of usb only….!!!! if you have to install an operating system u will need a live cd of that os….but if u dont have that u will surely copy it or use the preburned image of that os and iso is the preburned image of a cd by which u can use it to burn ur own cd later through windows itself or by 3rd party softwares like nero,roxio etc. if i have a windows iso in my hd den,, how 2 make a botable usb,, i don’t want to make a dvd/cd,, direct copy to usb..
ok then for that i will suggest you an easy way , just try a software called UltraISO , just google it download it…..
give ur iso files path to the app and then just paste the stuff to usb…simple. 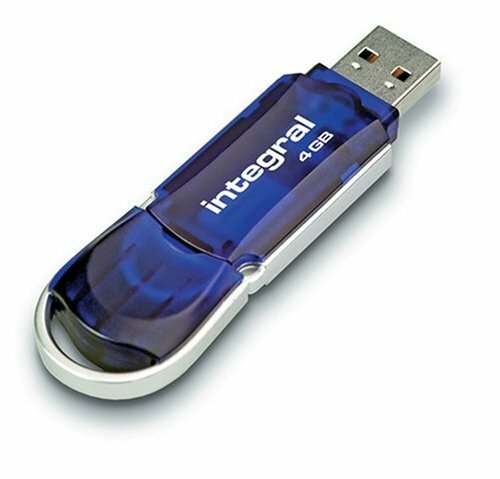 how can I make bootable pendrive from iso image? this thing didnt work for me, or i didnt get this..
After Assign Pen drive, It will prompt a message on the screen that “Format your pen drive”….what i have to do, please tell me, i can’t understand that i format it, or not………. I am getting the error in command prompt. It was very nice, i even tried its awesome but i have small doubts here i hope u’ll clarify my doubts. 1) Why do we need to use disk part, list disk and all that commands, i think it just converts the flash drive to NTFS file system, Why can’t we do it directly format it to NTFS either it may be quick or normal. 2) Why do we use only NTFS file format in format fs=NTFS, Why can’t we use FAT or exFAT. 3)I have tried this thing with XP but dis does’t work, any help how can i do it ???? Fantastic blog you have here but I was curious if you knew of any message boards that cover the same topics talked about here? I’d really like to be a part of community where I can get responses from other experienced people that share the same interest. If you have any recommendations, please let me know. Bless you! guys plz help me….i thnk dt my OS is crashed n cd slot s also nt wrking…wt suld i do to make my laptop start wrkng again..?? use bootable pen drive bro!!! dude! I had both win 7 and 8 installed on my laptop.. yesterday it didn’t resume after I opened the lid,I cleared the resume data.. now it won’t start…. the system can’t load the boot screen? Plz help! format is the last option bro , else situation can be more worse. I got a problem…My laptop’s CD-ROM is not in working condition. I want to install Windows8 through my pen drive without making it bootable. Is there any way so that i can copy the ISO file of that setup in my HD through pendrive and directly install it without making the pendrive bootable? r u talkng about external hard disk? hey dude my pendrive has losses his gb nd it is showng 0bytes wat 2 do …by doing clean with command prompt plz help me plzzzzz !!! HI Deepak are u created it a bootable pendrive.i am also created it but some file is missed.that is i386.wt is it please tell me……..? Sir please tell how can I make my pendrive normal again..?? And also sir how to convert it again into FAT 32 from NTFS….??? It’s the little changes which will make the greatest changes. Many thanks for sharing! when i wanted to do cd boot it says ” The system cannot find the path specified.” why?? Or could i do save bootsect.dat to pen drive ??? I dont recognise my pendrive in list disk. It is not shown. Only the hard disk is listed after the list disk command. What can be done ??? Can you help me with autorun.inf file? i need to run a pdf file automatically or atleast need open with acrobat in an autoplay option. the icon and label seems to work from the .inf file but the open and action command doesn’t seem to work…… i tried the shellexecute command as well. i also tried to create a .bat file instead of .exe file but none seem to be working. Some expertise here would be highly appreciated. What’s up, after reading this remarkable post i am also delighted to share my experience here with friends. Thanx a lot bro!!! God bless u!!! hey bro, i have tried everything you said above but not able to do it, what to do next tell me because i have laptop but DVD is not working, i need it now or suggest me other website if possible. i have posted a link in comments od a software , download that and use it ….. its quite simple and easy..
if you didnt find it message me your id i will mail you. Thanks for this great helping tutorial, it works fine………..and solve my problem. thanks Neeraj for the words!!! Hi deepak . I really need your help. Best online deals in market! Help to grow our startup!! What is IP (Internet Protocol)? What Does Verbose Option Means In A Linux Command? This work by https://engineersworld.wordpress.com/ is licensed under a Creative Commons Attribution-NonCommercial-NoDerivs 2.5 India License. INTRODUCTORY OFFER. Want to publish your advertisement here just contact us and enjoy a heavy traffic at very low prices.